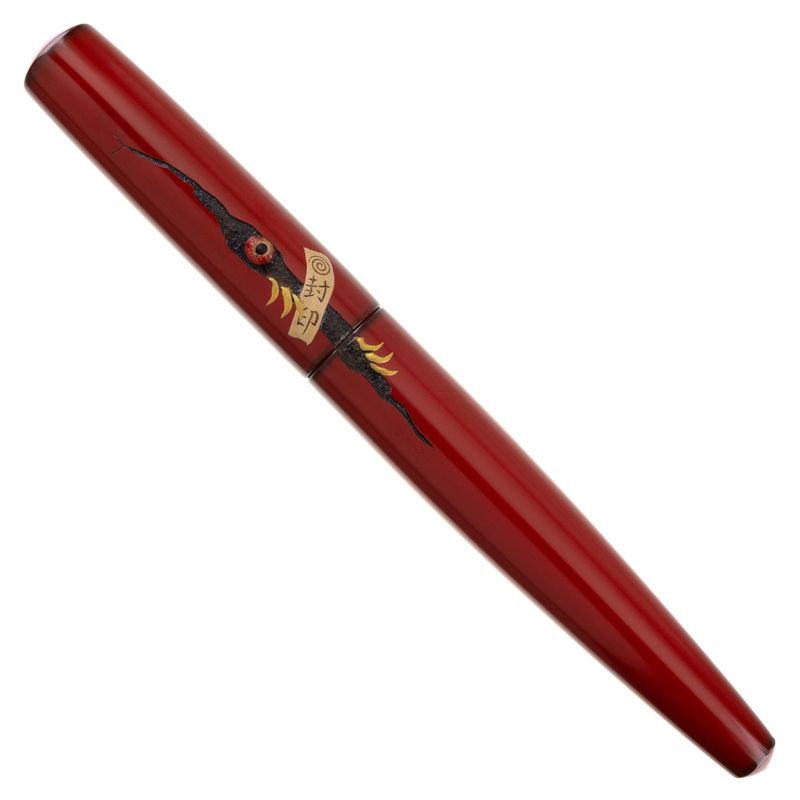 With a motif inspired by the work of iconic Edo period artist Katsushika Hokusai, the Nakaya Naka-ai Cigar Ayakashi ("Apparition") is a startlingly vivid work of Maki-e art which uses negoro technique for a clever trompe l'œil effect. 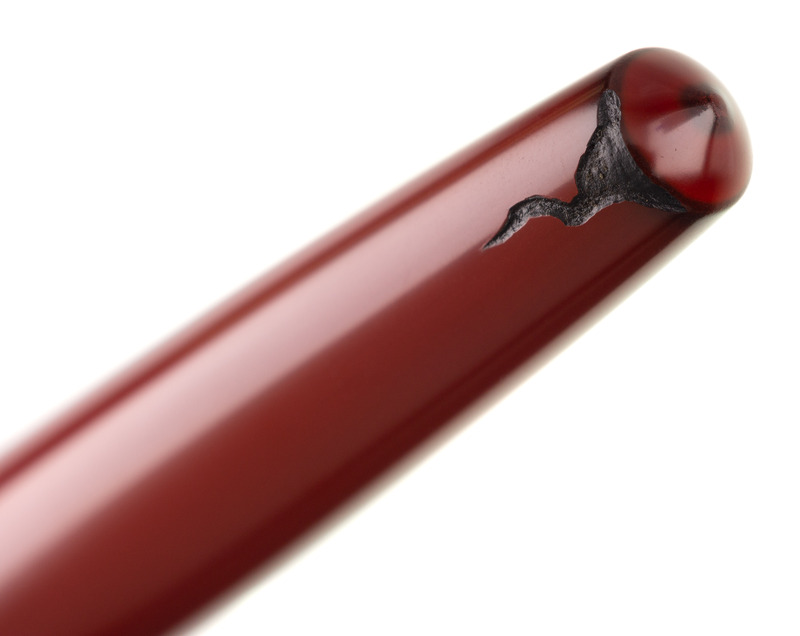 Shu-nurripanshi, also known as Shu Unpolished finish, provides the base lacquer layer for this pen, hand-painted in the traditional craft center of Wajima on the west coast of Japan. 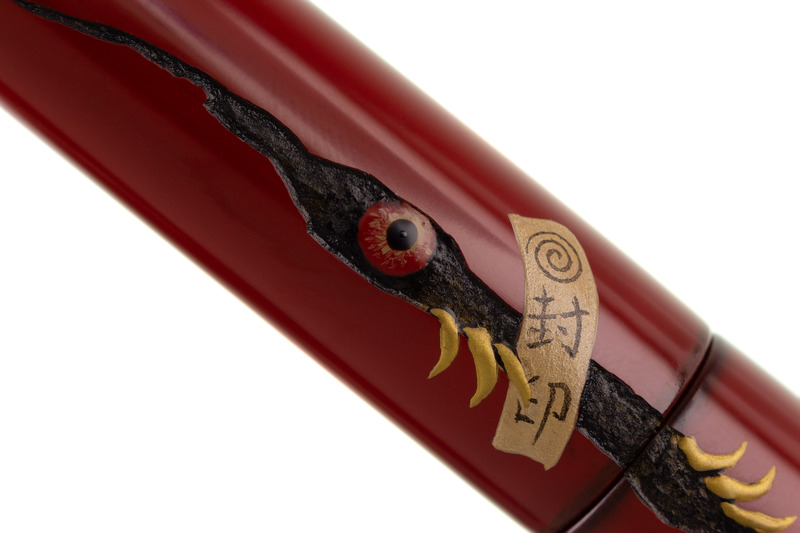 The Nakaya Naka-ai is only available through us here at nibs.com. 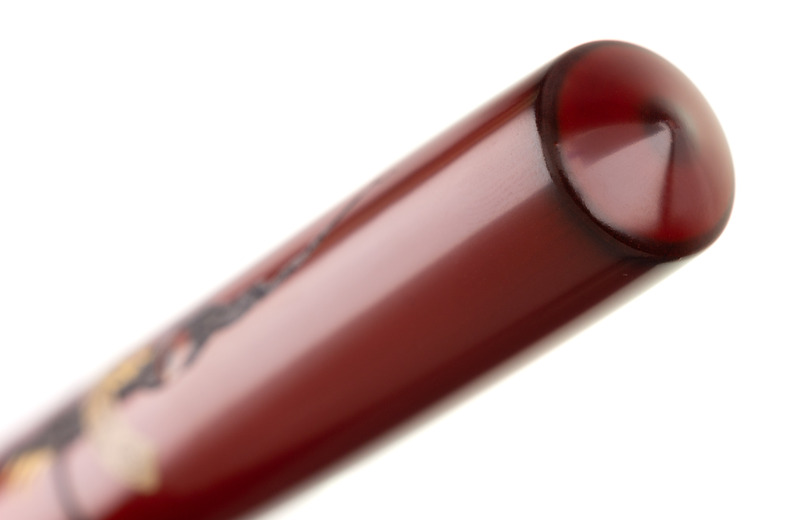 The Nakaya Naka-ai model, designed by nibs.com founder John Mottishaw in collaboration with Nakaya master designer Shinichi Yoshida, is considered by many to be the epitome of Nakaya style - with it's tapered design and superb balance, it has become a favorite with Nakaya users. 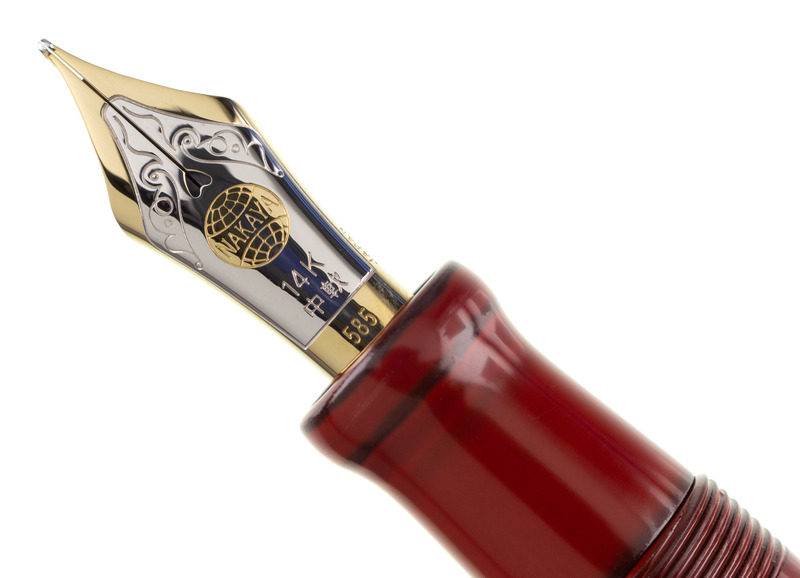 The pen is provided with your choice of Nakaya 14k solid gold nib, which can also serve as an excellent starting point for many of our exclusive nib customizations. 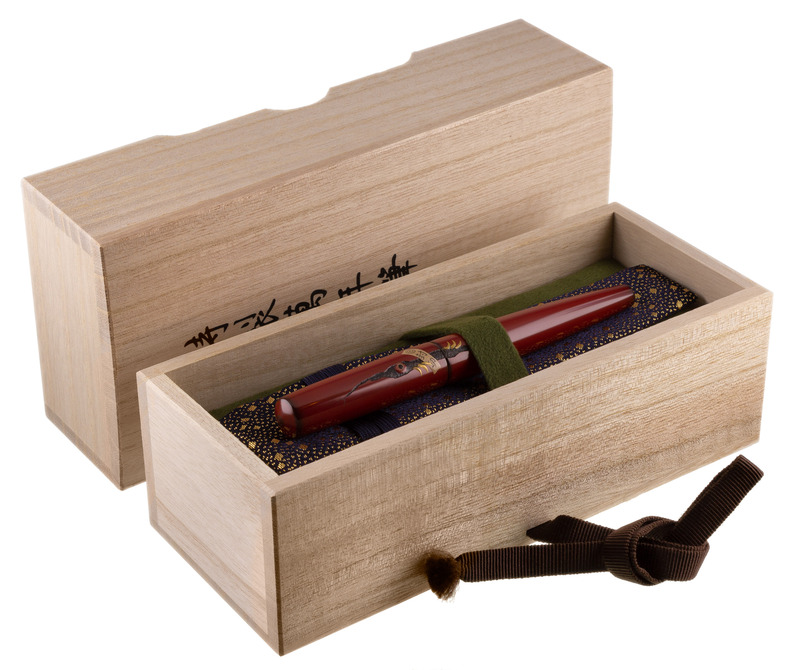 Each pen purchase includes a softwood presentation box which includes a fabric pen kimono and starter pack of Platinum brand ink cartridges. 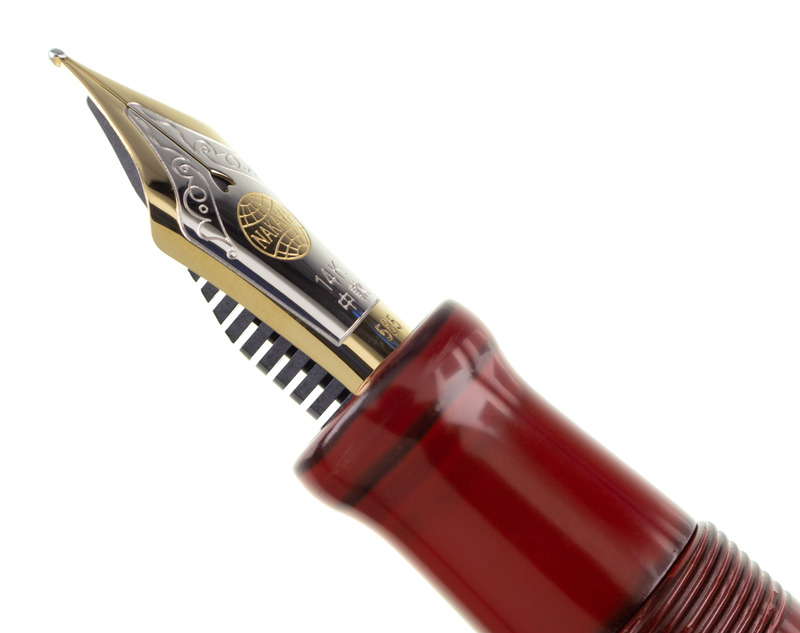 Each pen will be carefully inspected, tested, and adjusted to your personal writing characteristics in our workshop before shipping to you. 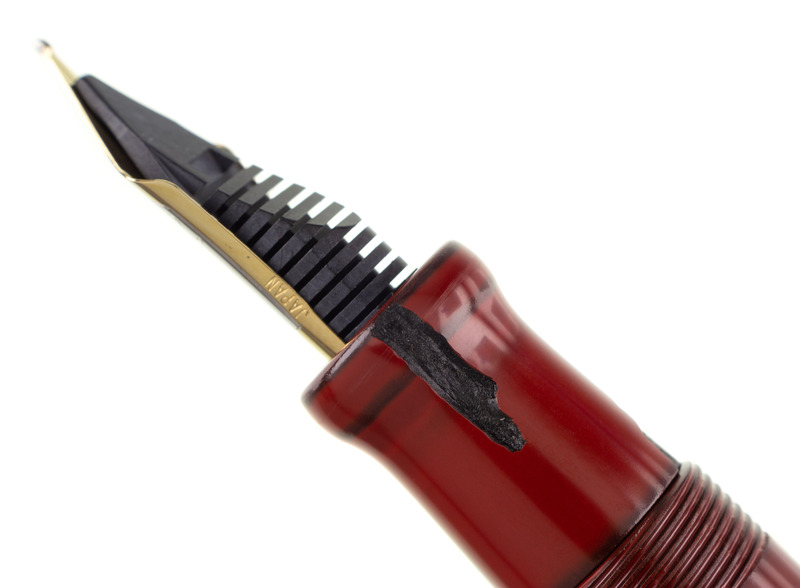 We are an authorized Nakaya dealer.